Regulators flat out nailed this remix. Not all remixes are created equal and most are not even better than said original mix but this one truly takes the cake. "Come On To Me" as an original is a heavy hitting, dance hall tune with a super catchy chorus. 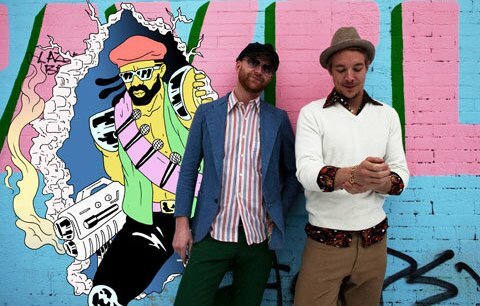 Regulators did almost what Major Lazer themselves would have done if remixing their own track. The trap drops are colossal while maintaining a very steady groove and dynamic energy levels throughout the tune. Behind Gents & Jawns, Regulators are steady holding down the interracial producer duo game out in Chicago, IL. They've been known to throw down some epic live sets full of surprises and completely left field jams that will keep you guessing what could possibly be next. Expect many more tour dates from them sooner than later. Be sure to snag the free download and leave a comment if you're feeling the track.